Frankie and Allie fight to make a difference against the devastating heroin epidemic. The two recovering addicts spend their lives pulling needles out of the arms of active users. But after that problem is solved, the addicts must be placed into the proper treatment facility. Sadly, the corrupt billion-dollar treatment industry has made this choice difficult...and dangerous. Its a struggle against the odds, in an Us vs. the world mentality. They allowed the film crew all access for one weekend. 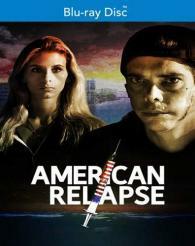 What transpires over 72 hours is a heartbreaking account of addicts struggling to survive.